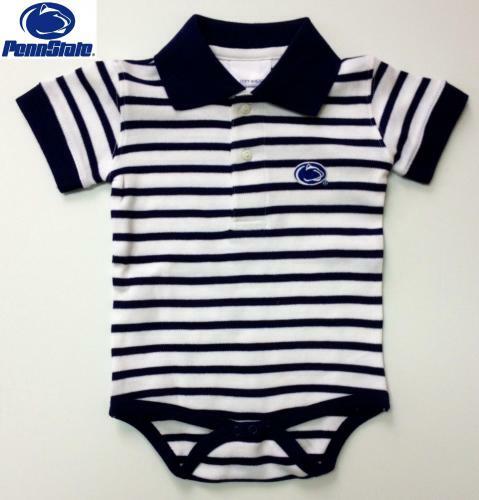 Official Penn State Licensed Baby Polo in sporty blue & white striped cotton jersey w/ snap crotch. Embroidered Penn State logo. 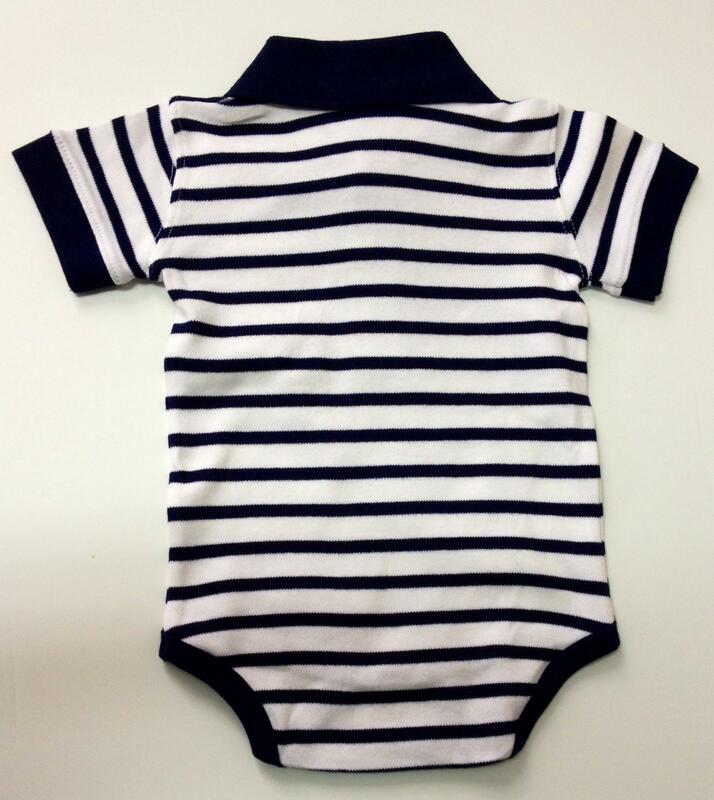 Sizes: Newborn (0-3 months), 6, 12 & 18 months. Showstopping shower gift.